Being Darth Vader ain't easy. Between bringing balance to the Force, being second-in-command of a benevolent Galactic Empire, suppressing Rebel dissidents on countless worlds, polishing his helmet to a military-grade sheen, Force choking incompetent lackeys and maintaining an unbeaten record in the Death Star Jenga Championships, the boss rarely gets a moment to himself. Not to mention the Post-Traumatic Stress-induced nightmares caused by having your best friend and mentor cut off your arms and legs before leaving you to burn alive in molten magma while he makes off with your wife and unborn children. The whole not-having-arms-and-legs-and-being-forced-to-live-in-a-containment-suit-and-a-giant-egg-which-makes-it-really-hard-to-meet-the-ladies thing isn't really conducive to taking much personal time either. 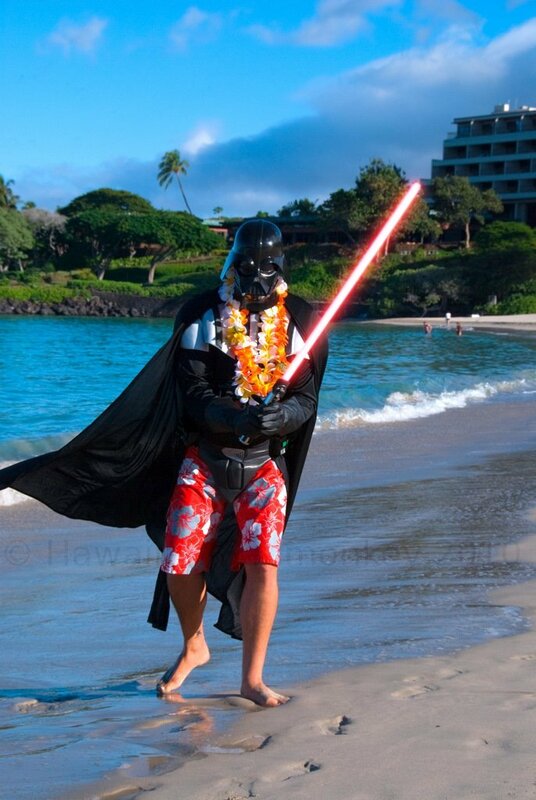 So once a year, Emperor Palpatine makes Lord Vader take a hard-earned "Vadercation". 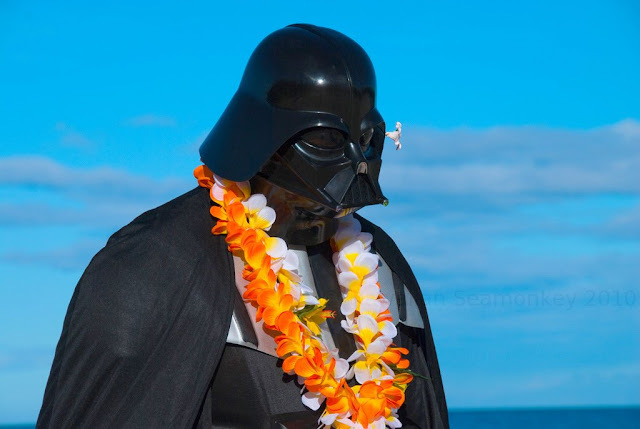 Usually somewhere far, far away from the Empire where Palpatine can't hear Vader crying himself to sleep at night Palpatine can be sure Vader will really enjoy himself. 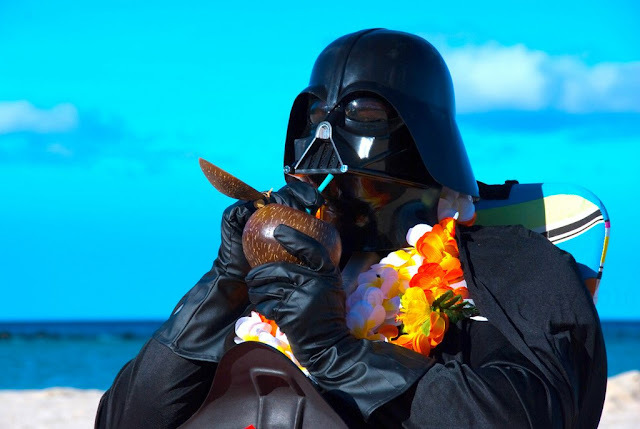 This year's "Vadercation" was to Earth's tropical paradise, Hawaii. 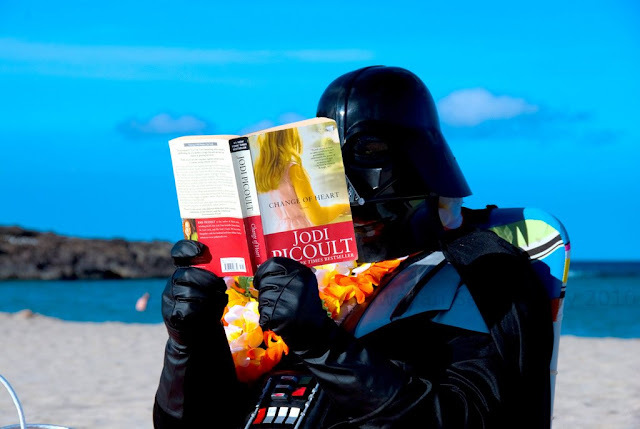 I'm sure you'll agree from these carefully staged and photoshopped to include legs candid photos that Darth Vader is one Dark Lord of the Sith who knows how to have a good time. Heavy is the head that wears the helmet. Staying frosty, even in the sun. Special thanks to loyal Imperial Eric Brager for permission to print these images. 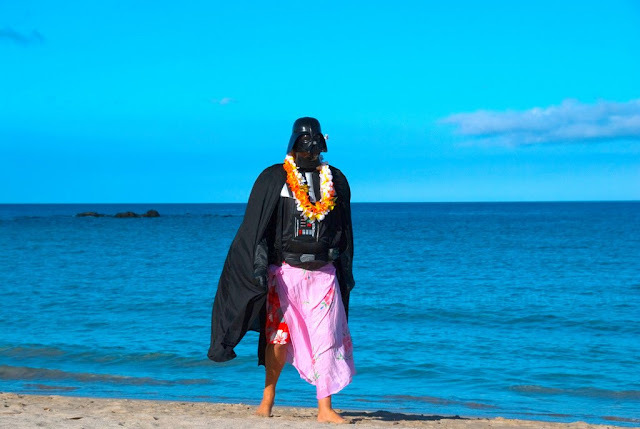 You can find a bunch more on his website: http://hawaiianseamonkey.com/2010/10/darth-vaders-hawaiian-vacation/. You got your legs back!! Congrats! Wow. Palpatine's medics really did a great job on your legs! Glad you had a nice vaca! Nick Carpenter, chief executive of the developer, confirmed the news on Twitter, where he said that the project "is in good hands." Frank Gibeau, president of EA Labels, rsfarmer.com spoke to the American website Joystiq about the Online Pass and its announced policies disappearance of a U.S. company. "We are not carrying out any strategy to return the Online Pass, will not have to get codes to unlock your games, that will not happen," he said, defining the program itself Online Pass as "stupid" cheap rs 3 gold. "The amount of money we did not replace thereby causing frustration in our consumers, nor compensated for the damage caused to the reputation of the company," he continued. "So we said to ourselves, 'not worth it', and the idea was` not do this anymore. '" "Look, the people own the game, buy the album and it's yours. They have a legitimate right to do anything that is not illegal," he said. "If we want to be progressive as a result, online services will be available to them and buy what you can, but do not have to do it out of obligation arm2teeth.com. At least this way we will participate with some kind of monetization" .